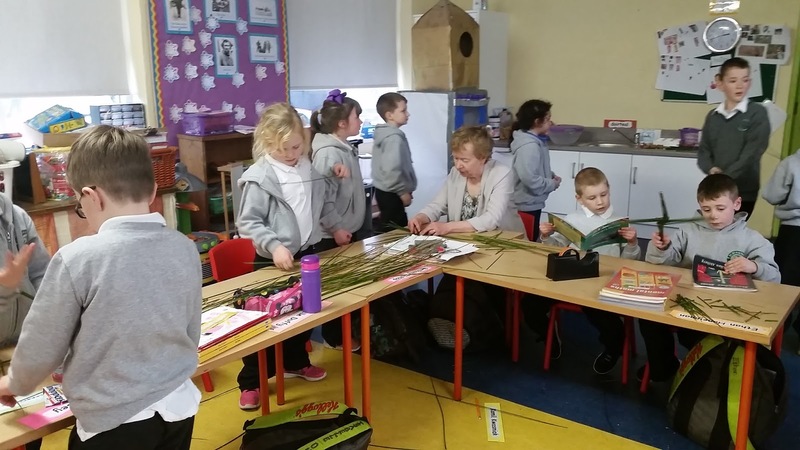 We were delighted to invite our grandparents to visit our classroom yesterday for Grandparents Day. It is a special day because it is a day where they can meet our classmates and see our classroom and school work. It is also a chance for us to ask them some questions about their school days. 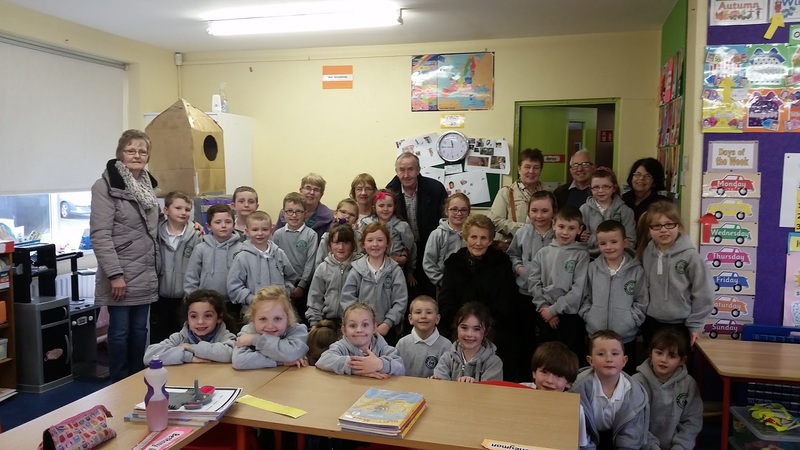 It was great to have so many grandparents visiting. At mass we said a prayer for all grandparents. 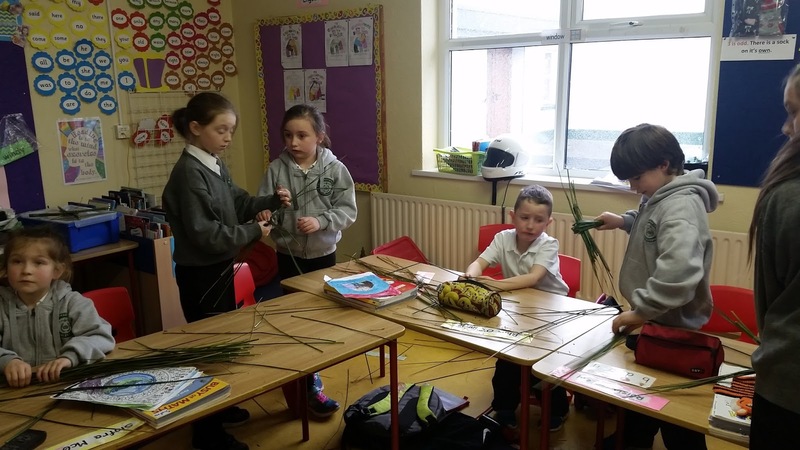 It was also St. Brigid's Day. 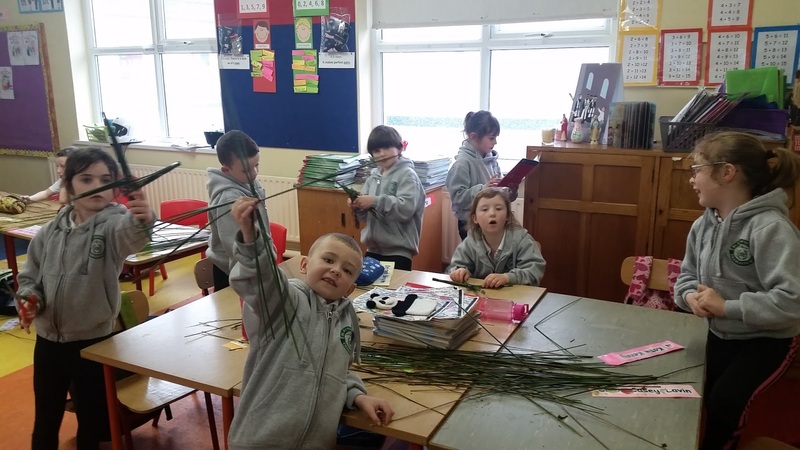 We learned how to make St. Brigid's Day crosses.